Prepare for a Career in Computer Networking! 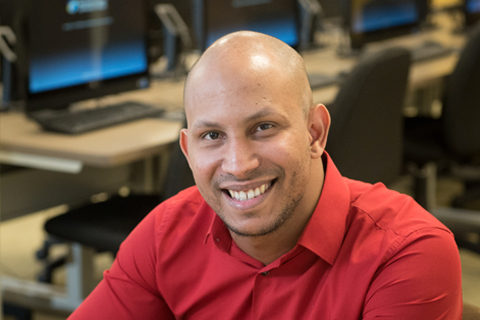 If you are seeking a career in Information Technology (IT), NECC can prepare you for a career as a computer operation, software technician, project manager, and more. You can also transfer to earn your bachelor’s degree in IT or a related field – and save thousands of dollars along the way. What can I do with a major in…. See Transfer Information under Academic Advising. NECC’s Academic Support Services has an extensive list of colleges that regularly recruit NECC transfer students. Northern Essex Community College computer science major Anthony Mirely was recently accepted into an internship through The New England Venture Capital Association’s Hack.Diversity program. Read Anthony’s story.